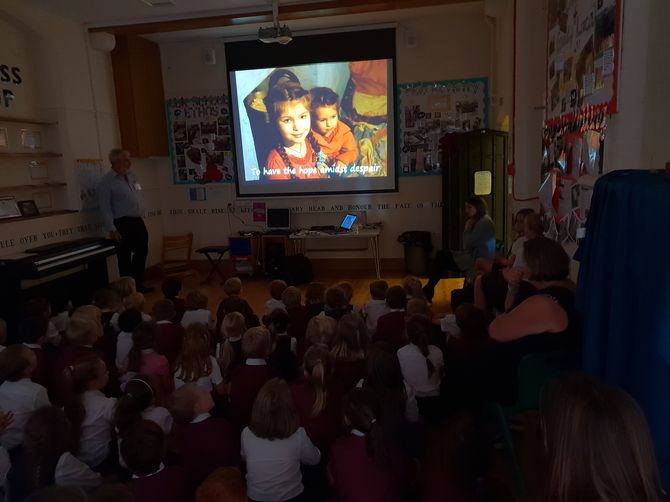 The children were visited today by Hugh Scudder from Christian Response who spoke to the children in assembly about the Christmas Shoebox Appeal. 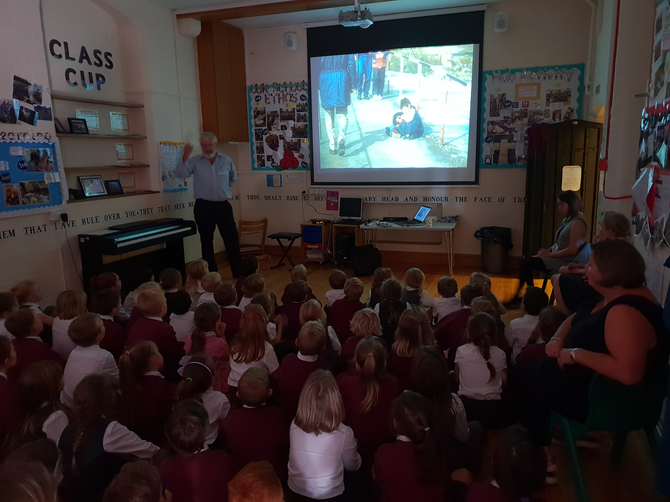 Hugh explained to the children how on Christmas day the children attend Soup Kitchens where they receive a nutritious meal and Father Christmas appears delivering the beautifully wrapped Christmas boxes to them. Both the school and Little Dragons will be supporting this locally based charity this year and Hugh will be back to collect the shoe boxes that the children make on Friday the 2nd November.